Welcome to www.PROTEINFACTORY.com. 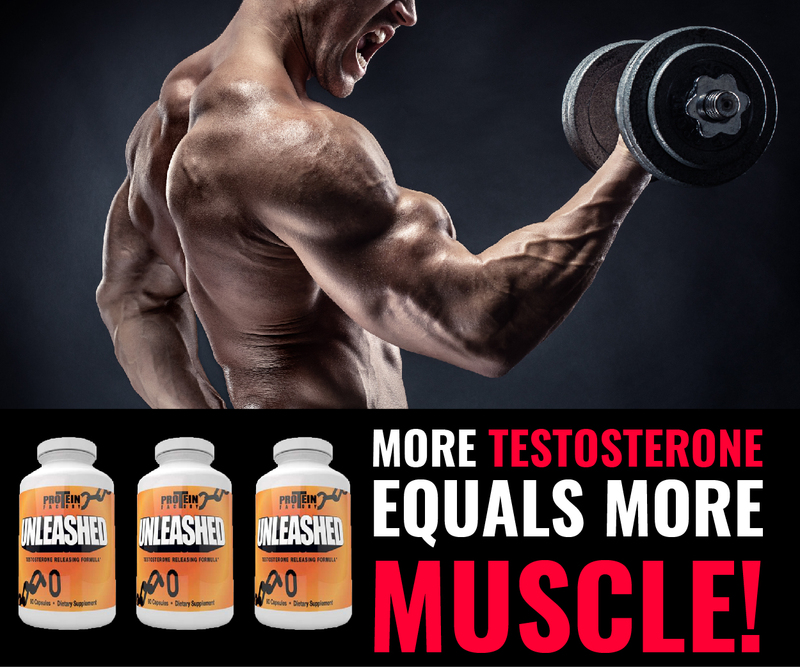 This website (“Site”) is owned and operated by PROTEINFACTORY® Corporation (“PROTEINFACTORY®”) in Jersey City, NJ, and its third-party licensors and its affiliates (“PROTEINFACTORY®”). By visiting or shopping at www.PROTEINFACTORY.com you accept these conditions, so please read them carefully. We reserve the right at our discretion to revise these Terms and Conditions from time to time. Please check these Terms and Conditions periodically. By using the Site after we post changes to these Terms and Conditions, you agree to accept those changes, whether or not you have actually reviewed them. If you do not agree to abide by these Terms and Conditions, please do not enter or make any use of the Site. PROTEINFACTORY® makes no representations or warranties of any kind or nature with respect to the information or content posted on this web site. PROTEINFACTORY® hereby disclaims all representations and warranties, whether express or implied, created by law, contract or otherwise, including, without limitation, any warranties of merchantability, fitness for a particular purpose, title or non-infringement. In no event shall PROTEINFACTORY® be liable for any damages of any kind or nature, including, without limitation, direct, indirect, special (including loss of profit) consequential or incidental damages arising from or in connection with the existence or use of this internet site and/or the information or content posted on this web site, regardless of whether PROTEINFACTORY® has been advised as to the possibility of such damages. PROTEINFACTORY® is not responsible, and provides no warranty whatsoever, for the accuracy, effectiveness, timeliness and suitability of any information or content obtained from third parties, including any hyperlinks to or from third-party sites. Except as otherwise provided on this web site, PROTEINFACTORY® will not edit, censor or otherwise control any content provided by third parties on any bulletin board, chat room or other similar forums posted on its web site; such information should, therefore, be considered as suspect and is not endorsed by PROTEINFACTORY®. This Web site may contain forward-looking statements that reflect PROTEINFACTORY®’s current expectation regarding future events and business development. The forward-looking statements involve risks and uncertainties. Actual developments or results could differ materially from those projected and depend on a number of factors including, but not limited to, the success of current research programs, results of pending or future clinical trials, ongoing commercialization of its products, regulatory approvals of pharmaceuticals, validity and enforcement of its patents, the stability of its commercial relationships, and the general economic conditions. 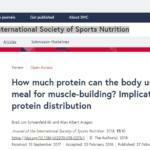 PROTEINFACTORY® intends to update this site on a regular basis but assumes no obligation to update any of the content. All content included on this Site, including, but not limited to, text, graphics, photographs, images, button icons, page headers, moving images, sound, illustrations and software (“Content”), is owned by PROTEINFACTORY® and/or its third-party providers and is protected by United States and international copyright laws. ©PROTEINFACTORY Corporation. ALL RIGHTS RESERVED. You may not modify, remove, delete, augment, add to, publish, display, transmit, retransmit, participate in the transfer or sale of, create derivative works from, or in any way exploit any of the Content, in whole or in part. If no specific restrictions are displayed, you may download or make copies of select portions of the Content, provided that the copies are made only for your personal use and that you maintain any notices contained in the Content, such as all copyright notices, trademark legends, or other proprietary rights notices. Except as provided in the preceding sentence or as permitted by the fair use privilege under the U.S. copyright laws (see, e.g., 17 U.S.C. Section 107), you may not upload, post, reproduce, or distribute in any way Content displayed on this Site without obtaining the prior written permission of PROTEINFACTORY®. Nothing contained on the Site should be construed as granting, by implication, estoppel, or otherwise, any license or right to use the Site, the Content, or any information displayed on the Site, through the use of framing or otherwise, except: (a) as expressly permitted by these Terms and Conditions; or (b) with the prior written permission of PROTEINFACTORY® or the prior written permission from such third party that may own the trademark or copyright of information displayed on the Site. All trademarks, service marks and trade names of PROTEINFACTORY® are trademarks or registered trademarks of PROTEINFACTORY® or its affiliates and third-party licensors, including, but not limited to: PROTEINFACTORY®. Nothing contained in or on the Site should be construed as granting, by implication, estoppel or otherwise, any licence or right to use any of the trademarks or other intellectual property rights displayed in or on the Site unless the prior written consent of PROTEINFACTORY® has been obtained. Other than as expressly provided by these Terms and Conditions, your use of the trademarks or any other intellectual property rights or any Content in or on the Site in any way whatsoever is strictly prohibited. PROTEINFACTORY® operates a worldwide program to enforce its intellectual property rights to the fullest extent of the law. You may not download (other than page caching) or modify the Site or any portion of it, without our express prior written consent. This includes: a prohibition on any resale or commercial use of the Site or the Content; any collection and use of any product listings, descriptions, or prices; any derivative use of the Site or the Content; any downloading or copying of account information for the benefit of another merchant; or any use of data mining, robots, browsers, spiders, avatars or intelligent agents or similar data gathering and extraction tools other than the search engine and search agents available from PROTEINFACTORY® on this Site and other than generally available third party web browsers (e.g., Netscape Navigator, Microsoft Explorer). The Site or any portion of the Site may not be reproduced, duplicated, copied, sold, resold, visited, or otherwise exploited for any commercial purpose without our express prior written consent. You may not frame or utilize framing techniques to enclose any trademark, logo, or other proprietary information (including images, text, page layout, or form) of PROTEINFACTORY® without our express prior written consent. You may not use any meta tags or any other “hidden text” utilizing our name or trademarks without our express prior written consent. You are prohibited from violating or attempting to violate the security of the Site, including, without limitation, (a) accessing data not intended for you or logging into a server or account which you are not authorized to access, (b) attempting to probe, scan or test the vulnerability of a system or network or to breach security or authentication measures without proper authorization, (c) attempting to interfere with service to any other user, host or network, including, without limitation, via means of submitting a virus to the Site, overloading, “flooding”, “spamming”, “mailbombing” or “crashing”, (d) sending unsolicited e-mail, including promotions and/or advertising of products or services, or (e) forging any TCP/IP packet header or any part of the header information in any e-mail or newsgroup posting. Violations of system or network security may result in civil or criminal liability. PROTEINFACTORY® will investigate occurrences which may involve such violations and may involve, and cooperate with, law enforcement authorities in prosecuting users who are involved in such violations. A. Written DMCA Notice. If you are a copyright owner, or an agent of a copyright owner, and believe that a User Submission or other content displayed on this Site infringes your copyright, you may submit a notification pursuant to the Digital Millennium Copyright Act (“DMCA”) by providing PROTEINFACTORY®’ Copyright Agent with the following information in writing (see 17 U.S.C 512(c)(3) for further detail): 1 Physical or electronic signature of a person authorized to act on behalf of the owner of an exclusive right that is allegedly infringed; 2. Identification of the copyrighted work claimed to have been infringed, or, if multiple copyrighted works at a single online site are covered by a single notification, a representative list of such works at that site; 3. Identification of the material that is claimed to be infringing or to be the subject of infringing activity and that is to be removed or access to which is to be disabled and information reasonably sufficient to permit the service provider to locate the material; 4. Information reasonably sufficient to permit the service provider to contact you, such as an address, telephone number, and, if available, an electronic mail; 5. A statement that you have a good faith belief that use of the material in the manner complained of is not authorized by the copyright owner, its agent, or the law; and 6. A statement that the information in the notification is accurate, and under penalty of perjury, that you are authorized to act on behalf of the owner of an exclusive right that is allegedly infringed. 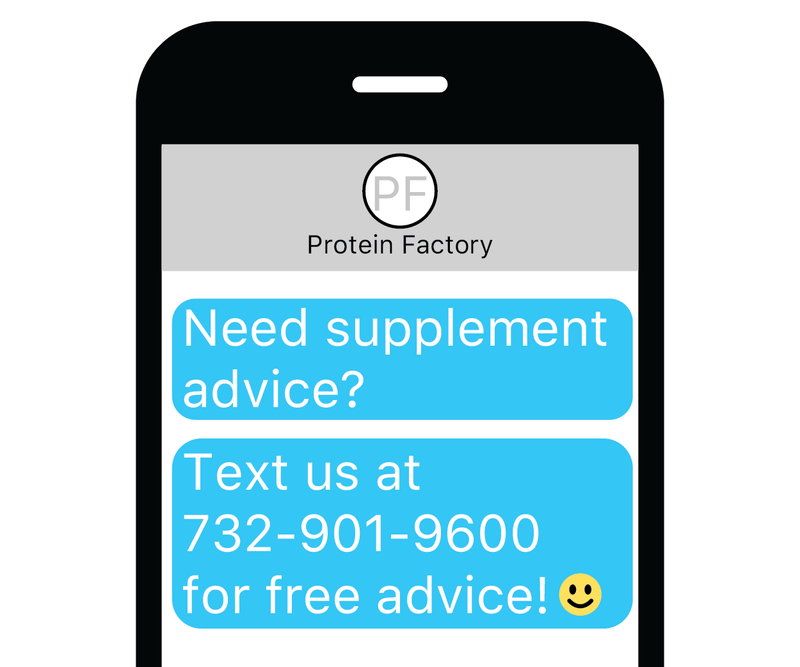 PROTEINFACTORY®’s designated Copyright Agent to receive notifications of claimed infringement is: [name] [address] [phone numbers]. Only DMCA notices should go to the Copyright Agent. If you fail to comply with all of the requirements of this Section 5(D), your DMCA notice may not be valid. B. Written DMCA Counter-Notice. If you believe that your User Submission that was removed (or to which access was disabled) is not infringing, or that you have the authorization from the copyright owner, the copyright owner’s agent, or pursuant to the law, to have your User Submission posted and used on this Site, then you may send a counter-notice containing the following information to the Copyright Agent: 1. Your physical or electronic signature; 2. Identification of the content that has been removed or to which access has been disabled and the location at which the content appeared before it was removed or disabled; 3. A statement that you have a good faith belief that the content was removed or disabled as a result of mistake or a misidentification of the content; and 4. Your name, address, telephone number, and e-mail address, a statement that you consent to the jurisdiction of the federal court in Denver County, Colorado, and a statement that you will accept service of process from the person who provided notification of the alleged infringement. If a counter-notice is received by the PROTEINFACTORY® Copyright Agent, then PROTEINFACTORY® may send a copy of the counter-notice to the original complaining party informing that person that it may replace the removed content or cease disabling it in ten (10) business days. Unless the copyright owner files an action seeking a court order against the content provider, member or user, the removed content may be replaced, or access to it restored, in ten (10) to fourteen (14) business days or more after receipt of the counter-notice, at PROTEINFACTORY®’s sole discretion. 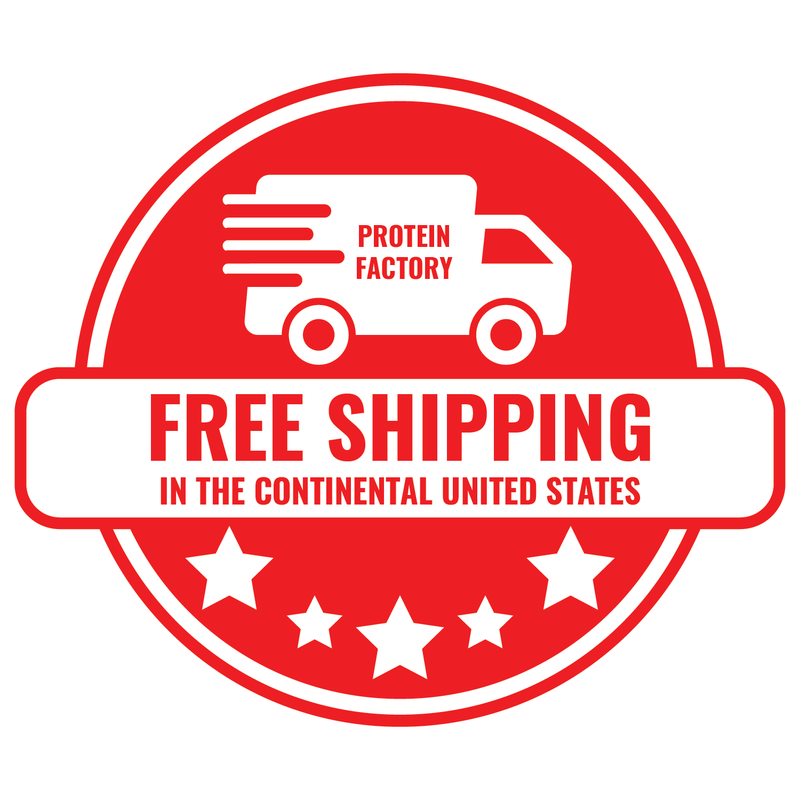 Most PROTEINFACTORY® products displayed at the Site are available in stores in the United States. In some cases, merchandise displayed for sale at the Site may not be available in stores. The prices displayed at the Site are quoted in U.S. Dollars and are valid and effective only in the United States. If you use the Site, you are responsible for maintaining the confidentiality of your account and password and for restricting access to your computer, and you agree to accept responsibility for all activities that occur under your account or password. PROTEINFACTORY® reserves the right to refuse service, terminate accounts, remove or edit content, or cancel orders in our sole discretion. 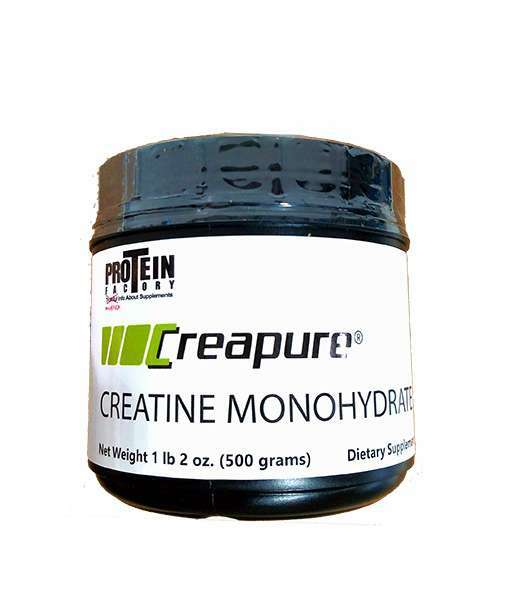 We are not responsible for the content of any sites that may be linked to or from www.PROTEINFACTORY.com. These links are provided for your convenience only and you access them at your own risk. Any other website accessed from the Site are independent from PROTEINFACTORY®, and PROTEINFACTORY® has no control over the content of that other website. In addition, a link to any other website does not imply that PROTEINFACTORY® endorses or accepts any responsibility for the content or use of such other website. In no event shall any reference to any third party or third party product or service be construed as an approval or endorsement by PROTEINFACTORY® of that third party or of any product or service provided by a third party. You are granted a limited, revocable, and nonexclusive right to create a hyperlink to the homepage of this Site so long as the link does not portray PROTEINFACTORY® or their products or services in a false, misleading, derogatory, or otherwise offensive matter. You may not use any PROTEINFACTORY® logo or other proprietary graphic or trademark as part of the link without our prior express written permission. SERVICES OFFERED FOR SALE ON THE SITE. FURTHER, WE MAKE NO REPRESENTATION THAT CONTENT PROVIDED ON THE SITE IS APPLICABLE OR APPROPRIATE FOR USE IN LOCATIONS OUTSIDE OF THE UNITED STATES. 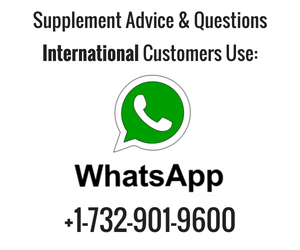 PROTEINFACTORY® AND ITS ASSOCIATES SPECIFICALLY DISCLAIM WARRANTIES OF ANY KIND, EITHER EXPRESS OR IMPLIED, INCLUDING BUT NOT LIMITED TO WARRANTIES OF TITLE OR IMPLIED WARRANTIES OF MERCHANTABILITY OR FITNESS FOR A PARTICULAR PURPOSE. NO ORAL ADVICE OR WRITTEN INFORMATION GIVEN BY PROTEINFACTORY® SHALL CREATE A WARRANTY. YOU EXPRESSLY AGREE THAT THE USE OF THE SITE IS AT YOUR SOLE RISK. UNDER NO CIRCUMSTANCES SHALL PROTEINFACTORY® OR ITS ASSOCIATES BE LIABLE FOR ANY DIRECT, INDIRECT, INCIDENTAL, SPECIAL, PUNITIVE OR CONSEQUENTIAL DAMAGES THAT RESULT FROM THE USE OF OR INABILITY TO USE THE SITE, INCLUDING BUT NOT LIMITED TO RELIANCE BY A USER ON ANY INFORMATION OBTAINED AT THE SITE, OR THAT RESULT FROM MISTAKES, OMISSIONS, INTERRUPTIONS, DELETION OF FILES OR EMAIL, ERRORS, DEFECTS, VIRUSES, DELAYS IN OPERATION OR TRANSMISSION, LOSS OF DATA OR PROFITS, OR ANY FAILURE OF PERFORMANCE, WHETHER OR NOT RESULTING FROM ACTS OF GOD, COMMUNICATIONS FAILURE, THEFT, DESTRUCTION OR UNAUTHORIZED ACCESS TO PROTEINFACTORY® RECORDS, PROGRAMS OR SERVICES. THE FOREGOING LIMITATION OF LIABILITY SHALL APPLY WHETHER IN AN ACTION OF CONTRACT, NEGLIGENCE, TORT, STRICT LIABILITY OR ANY OTHER ACTION, EVEN IF AN AUTHORIZED REPRESENTATIVE OF PROTEINFACTORY® HAS BEEN ADVISED OF OR SHOULD HAVE KNOWLEDGE OF THE POSSIBILITY OF SUCH DAMAGES. YOU HEREBY ACKNOWLEDGE THAT THIS PARAGRAPH SHALL APPLY TO ALL CONTENT, MERCHANDISE AND SERVICES AVAILABLE THROUGH THE SITE. BECAUSE SOME STATES DO NOT ALLOW THE EXCLUSION OR LIMITATION OF LIABILITY FOR CONSEQUENTIAL OR INCIDENTAL DAMAGES, IN SUCH STATES, SOME OR ALL OF THE ABOVE DISCLAIMERS, EXCLUSIONS, OR LIMITATIONS MAY NOT APPLY TO YOU, AND YOU MIGHT HAVE ADDITIONAL RIGHTS. HOWEVER, THE LIABILITY OF PROTEINFACTORY® AND ITS ASSOCIATES IS LIMITED TO THE FULLEST EXTENT PERMITTED BY LAW. IF YOU ARE DISSATISFIED WITH ANY PORTION OF THE PROTEINFACTORY® SITE, OR WITH ANY OF THESE TERMS AND CONDITIONS, YOUR SOLE AND EXCLUSIVE REMEDY IS TO DISCONTINUE USING THE SITE. IF A PRODUCT OFFERED BY PROTEINFACTORY® IS NOT AS DESCRIBED, YOUR SOLE REMEDY IS TO RETURN IT IN UNUSED CONDITION. You agree to use this Site only for lawful purposes. You are prohibited from posting on or transmitting through this Site any unlawful, harmful, threatening, abusive, harassing, defamatory, vulgar, obscene, sexually explicit, profane, hateful, racially, ethnically, or otherwise objectionable material of any kind, including but not limited to any material that encourages conduct that would constitute a criminal offense, give rise to civil liability, or otherwise violate any applicable local, state, national, or international law. If we are notified of allegedly infringing, defamatory, damaging, illegal, or offensive Content provided by you (e.g., through an author chat or online review), PROTEINFACTORY® may investigate the allegation and determine in its sole discretion whether to remove or request the removal of such Content from the Site. We may disclose any Content or electronic communication of any kind (i) to satisfy any law, regulation, or government request; (ii) if such disclosure is necessary or appropriate to operate PROTEINFACTORY®; or (iii) to protect the rights or property of PROTEINFACTORY®, its Associates and you. PROTEINFACTORY® reserves the right to prohibit conduct, communication, or Content that PROTEINFACTORY® deems in its sole discretion to be unlawful or harmful to you, PROTEINFACTORY®, any rights of PROTEINFACTORY®, or any third party. Notwithstanding the foregoing, neither PROTEINFACTORY® nor its Associates can ensure prompt removal of questionable content after online posting. Accordingly, neither PROTEINFACTORY®, nor its Associates assume any liability for any action or inaction with respect to conduct, communication, or Content on the Site. We may terminate your access or suspend your right to access to all or part of the Site, without notice, for any conduct that we, in our sole discretion, believe is in violation of any applicable law or is harmful to the interests of another user, PROTEINFACTORY® or its Associates. By visiting the Site, you agree that the laws of the State of Colorado, U.S.A., without regard to principles of conflict of laws and not the 1980 U.N. Convention on contracts for the international sale of goods, will govern these Terms and Conditions and any dispute of any sort that might arise between you and PROTEINFACTORY® and its Associates. Any dispute relating in any way to your visit to the Site or to products you purchase through the Site shall be submitted to mandatory, confidential arbitration. This clause shall be interpreted broadly in favor of arbitration, and any issues of arbitrability shall be governed by the United States Arbitration Act. Arbitration shall be conducted in Denver County, Colorado except that, to the extent you have in any manner violated or threatened to violate PROTEINFACTORY®’s intellectual property rights, PROTEINFACTORY® may seek injunctive or other appropriate relief in any state or federal court located in Denver County, State of Colorado, and you consent to exclusive jurisdiction and venue in such courts. Arbitration under this Agreement shall be conducted under the commercial arbitration rules then prevailing of the American Arbitration Association by a single arbitrator appointed by the AAA. The arbitrator’s award shall be binding and may be entered as a judgment in any court of competent jurisdiction. To the fullest extent permitted by applicable law, no arbitration under this Agreement shall be joined to an arbitration involving any other party subject to this Agreement, whether through class arbitration proceedings or otherwise. Should either party file an action contrary to this provision, the other party may be awarded its reasonable attorneys fees and costs. PROTEINFACTORY®’s failure to insist upon or enforce strict performance of any provision of these Terms and Conditions shall not be construed as a waiver of any provision or right. Neither the course of conduct between the parties nor trade practice shall act to modify any of these Terms and Conditions.